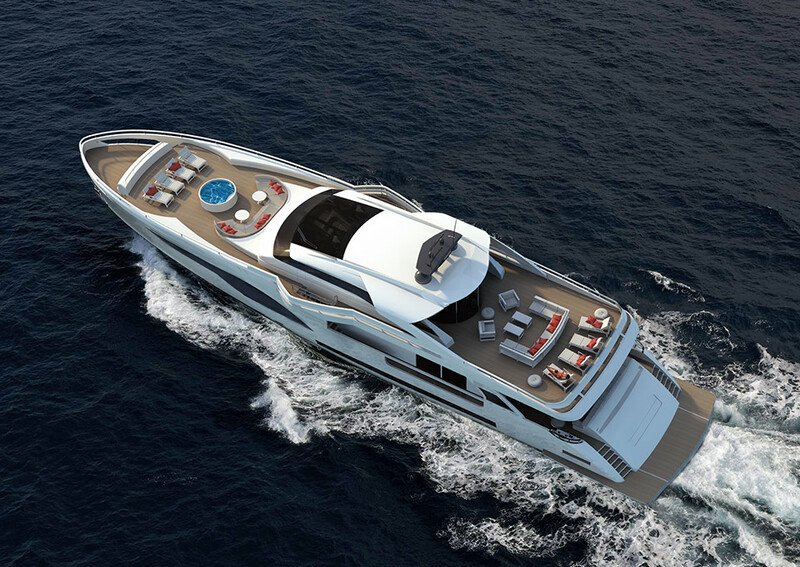 Wider 42 offers unrivalled motor yacht innovation. 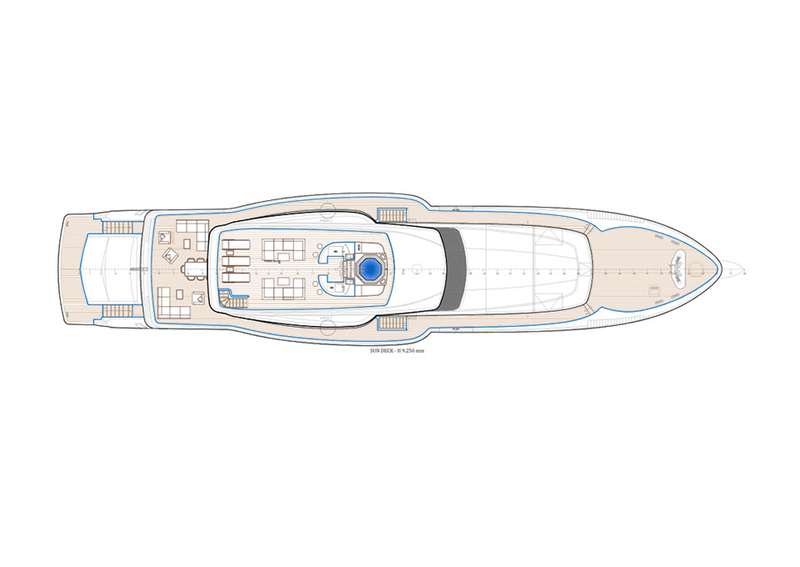 The Wider 42 offers double the surface area of a conventional 42-footer. 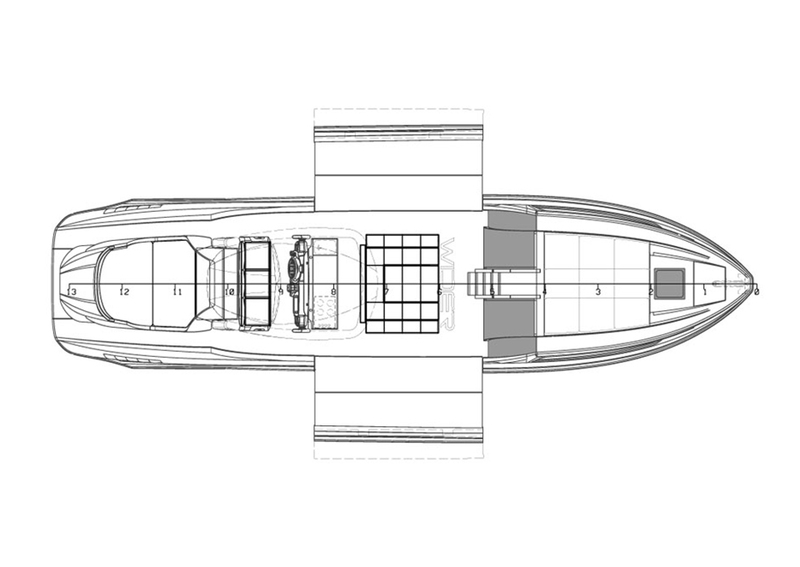 Opening up at the push of a button – the process takes just 12 seconds – expanding amidships to provide a deck space of 18m when at anchor. 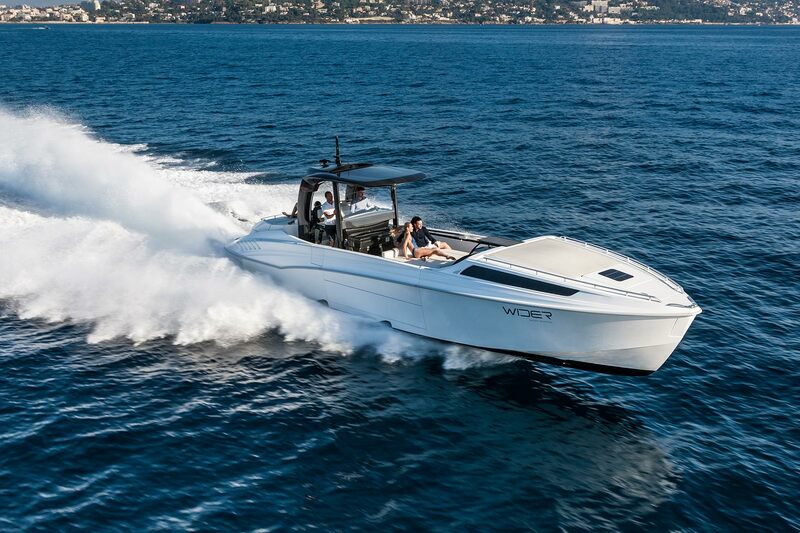 Looking beyond her elegant design, the Wider 42 boasts impressive power and speed cruising at over 50 knots. 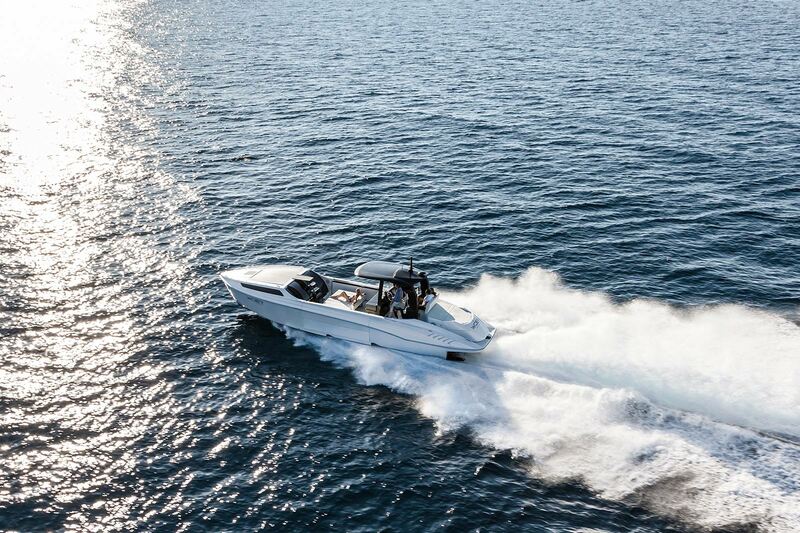 The twin 480HP Cummins engines combining high performance with low fuel consumption, keeping you out on the water longer and more often. 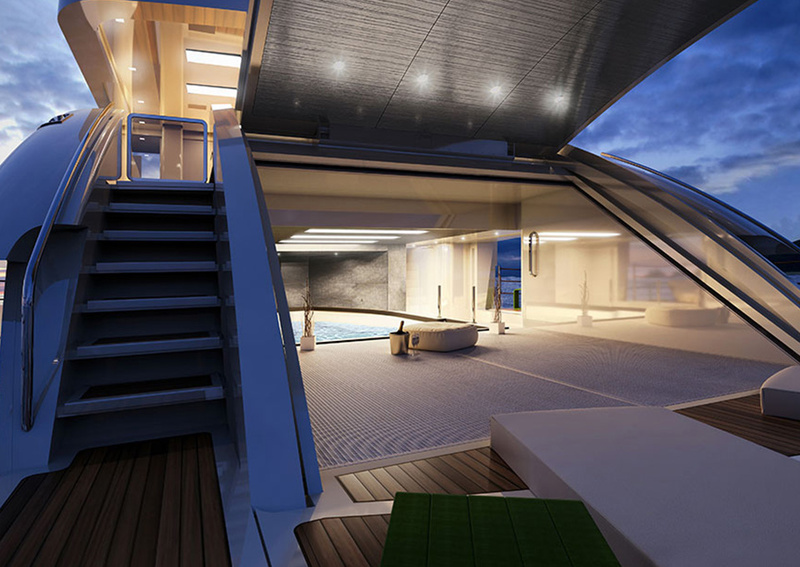 The yacht is fully fitted to enjoy everyday living.. 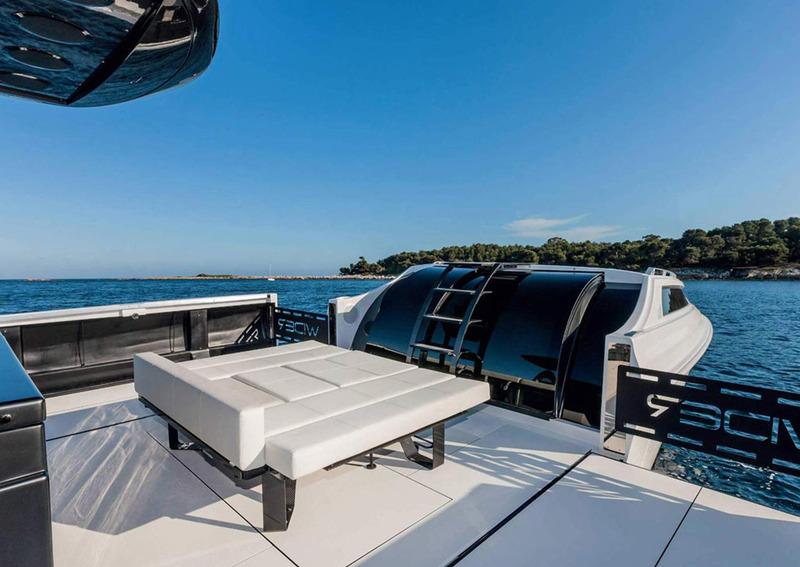 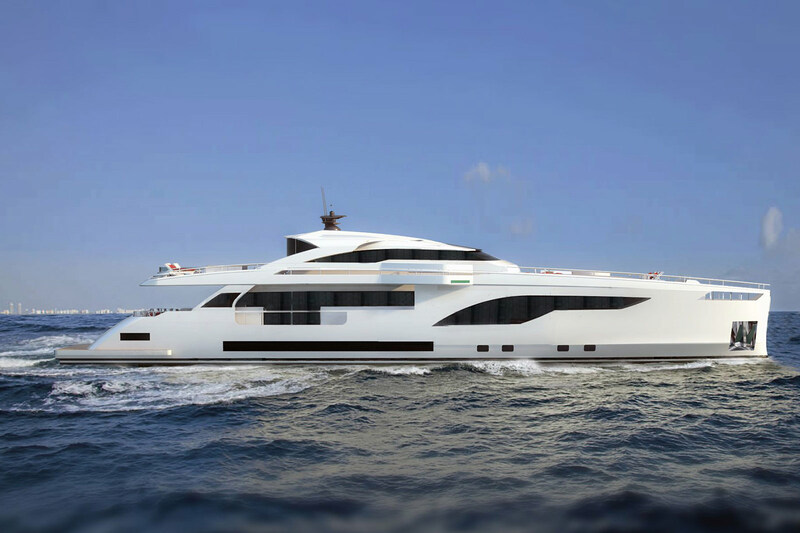 The outdoor galley has a teppanyaki grill and ice box, multiple seating configurations, adjustable bimini top and racing staggered engines for increased stability. 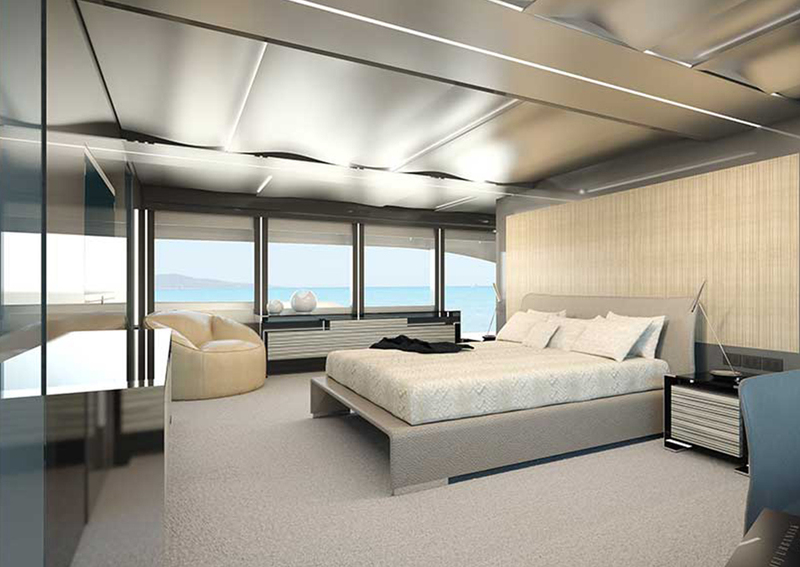 Every detail has been considered for your comfort. 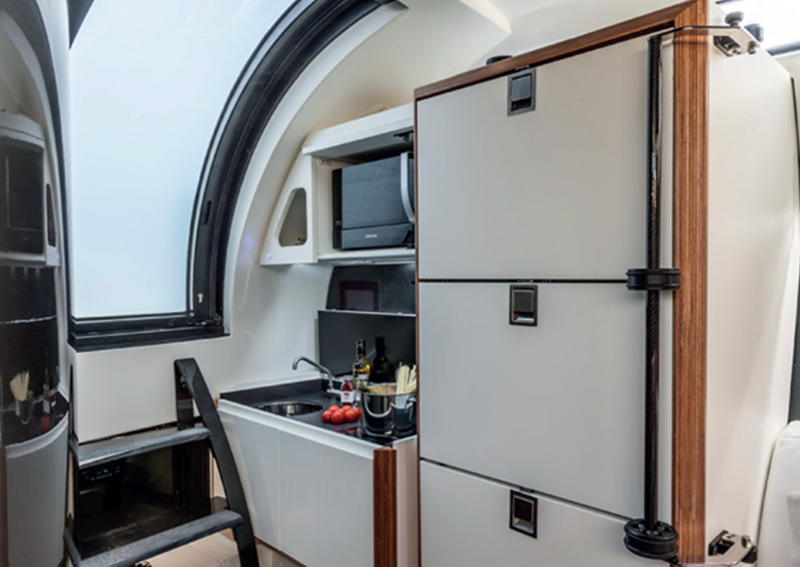 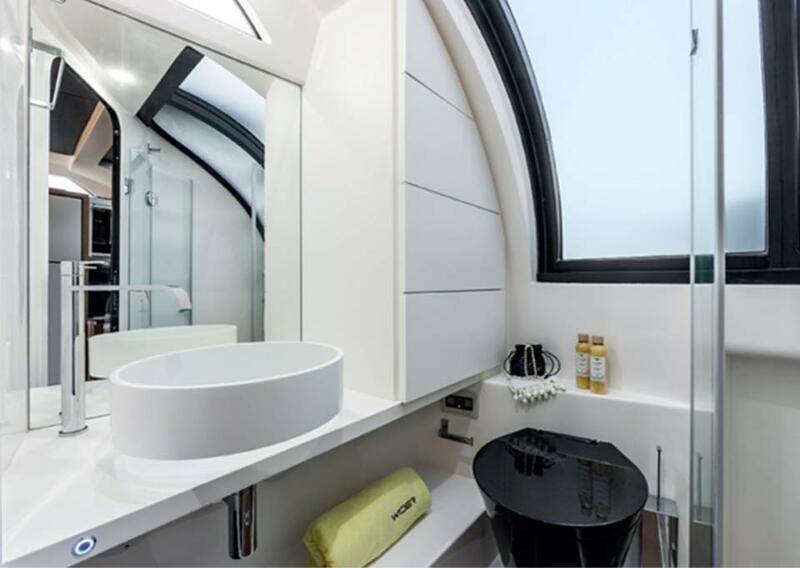 The kitchen area has a worktop with a sink and single ceramic burner, and a double door fridge unit on request, while the head has a crystal shower unit, a glass washbasin and carbon toilet. 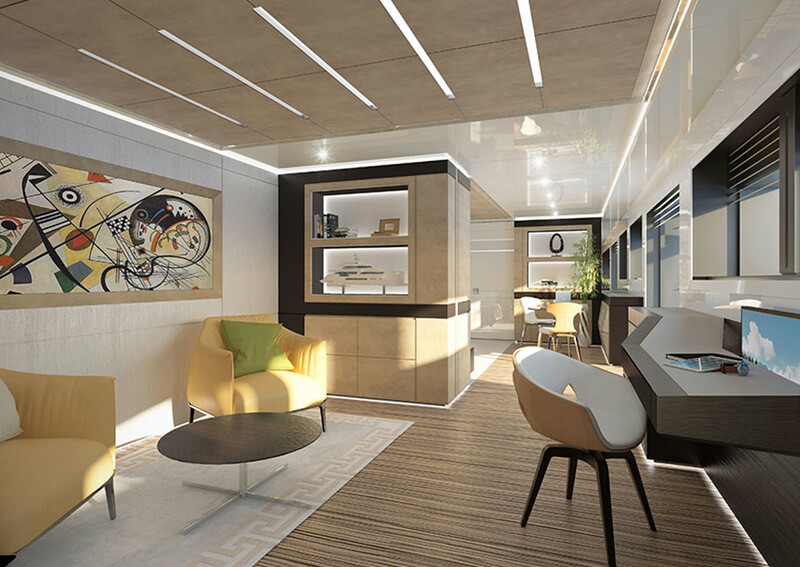 The Wider 125 is designed to offer exceptional range and spacious living space without compromising the clean modern lines that Wider are known for. 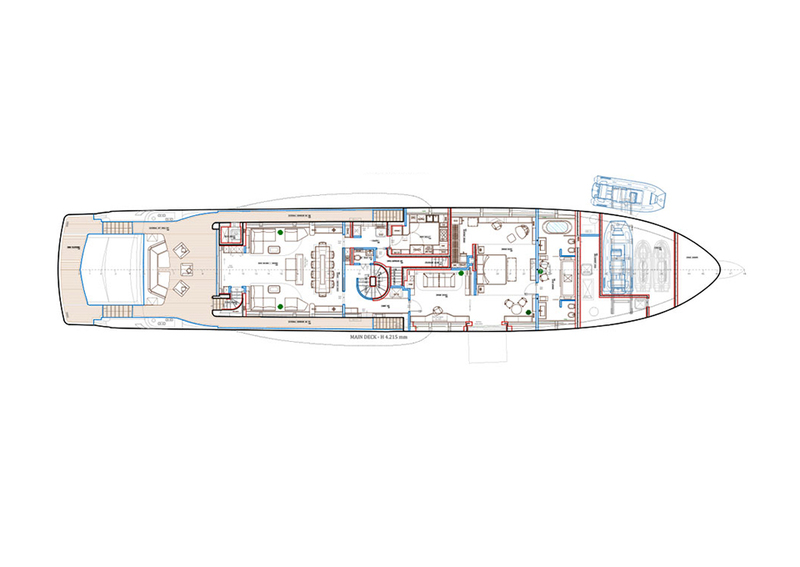 The Wider 125’s diesel-electric technology allows for greater volume and better located guest suites than on other similar sized yachts. 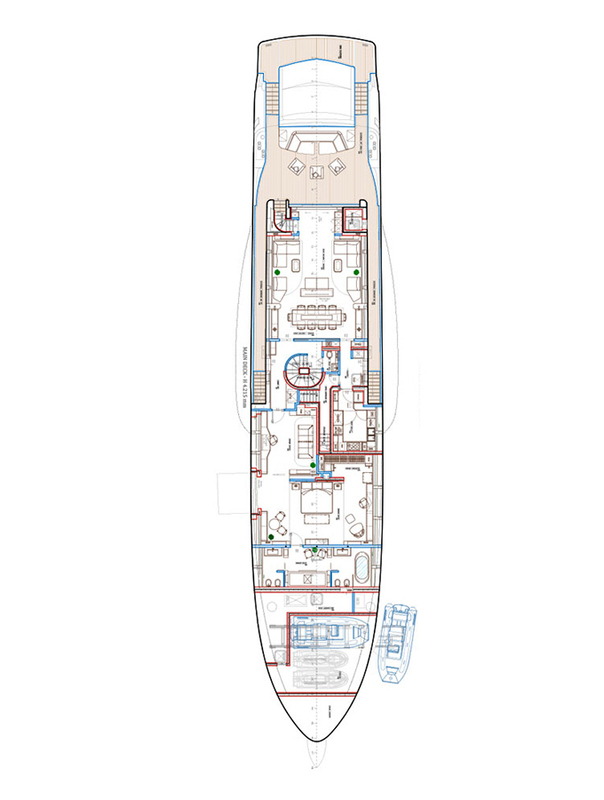 The use of three variable speed generators to serve all of the hotel and propulsion systems allows for a more compact engine room. 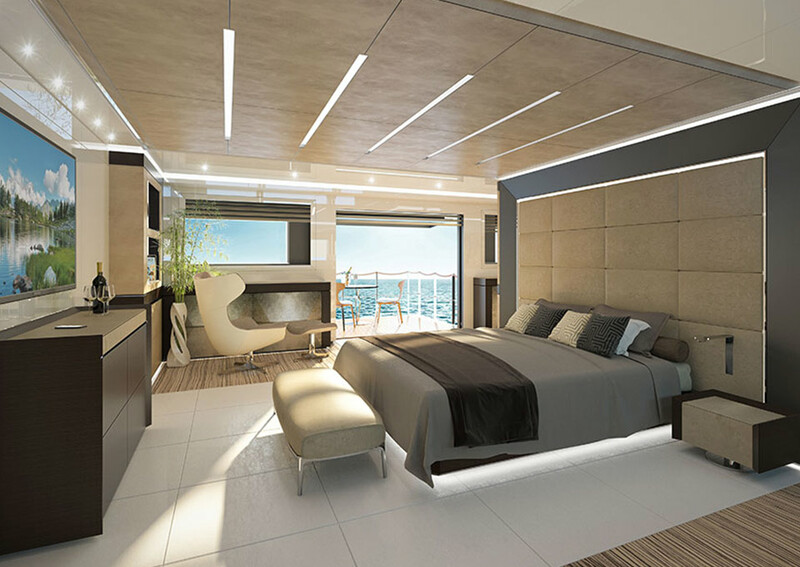 The Wider beach is a magnificent onboard oasis that offers splendid relaxation space in direct connection with the sea and provides a spacious transom swim-and-sunbathing-deck. 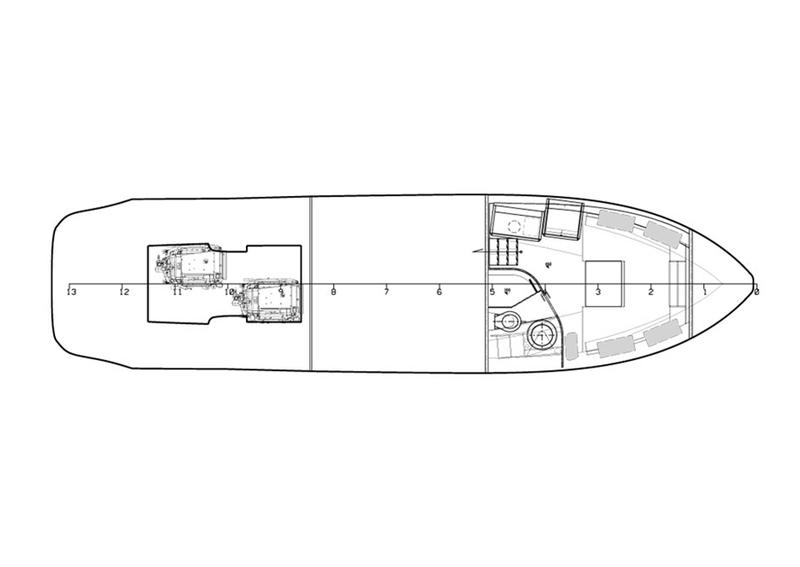 The Wider 125 offers expansive and flexible living space. 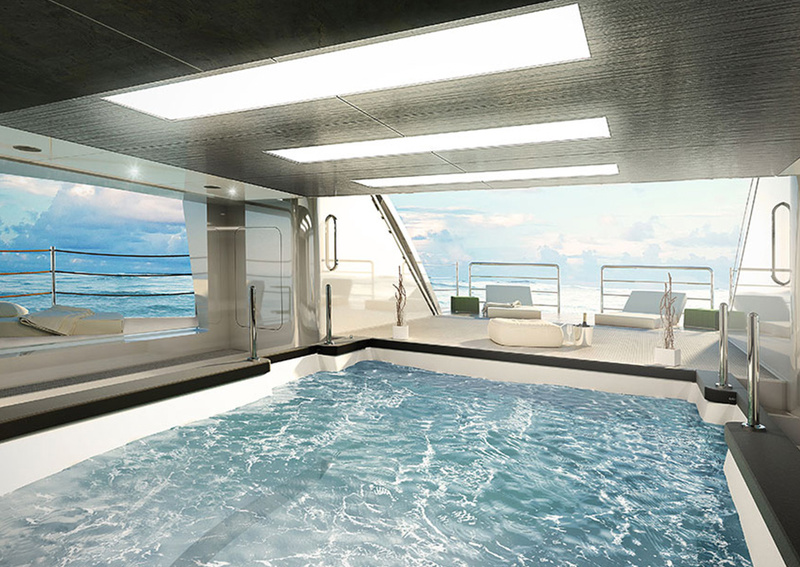 The main deck saloon is remarkably airy and light, with floor to ceiling windows that let the light flood in. 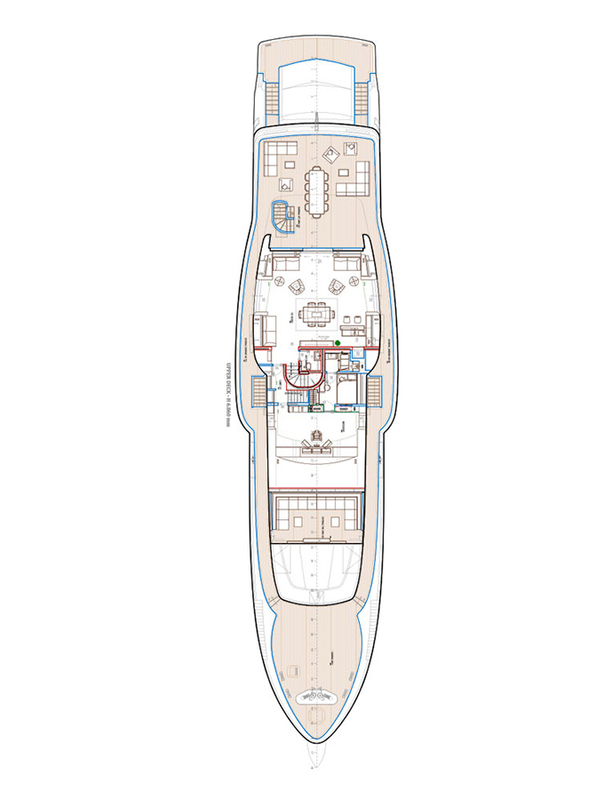 Guests are treated to four spacious staterooms that each come with an en suite bathroom and shower rooms. 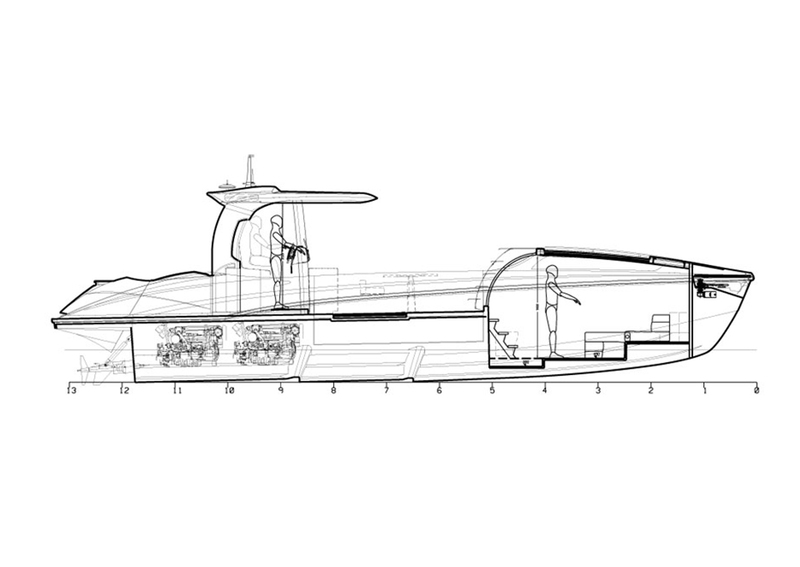 Diesel – electric propulsion system allows various ranges, up to 4.400 nm using diesel – electric at 8 knots. 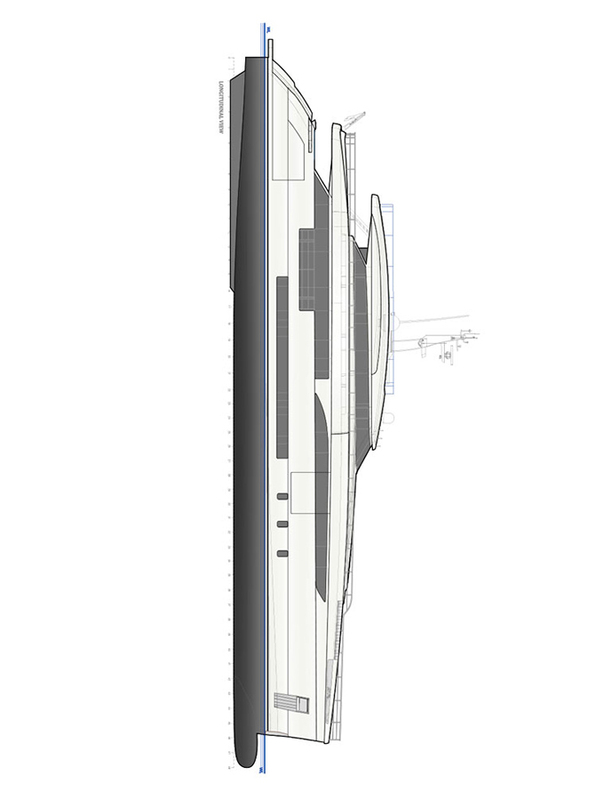 A flawless harmony between ship and sea. 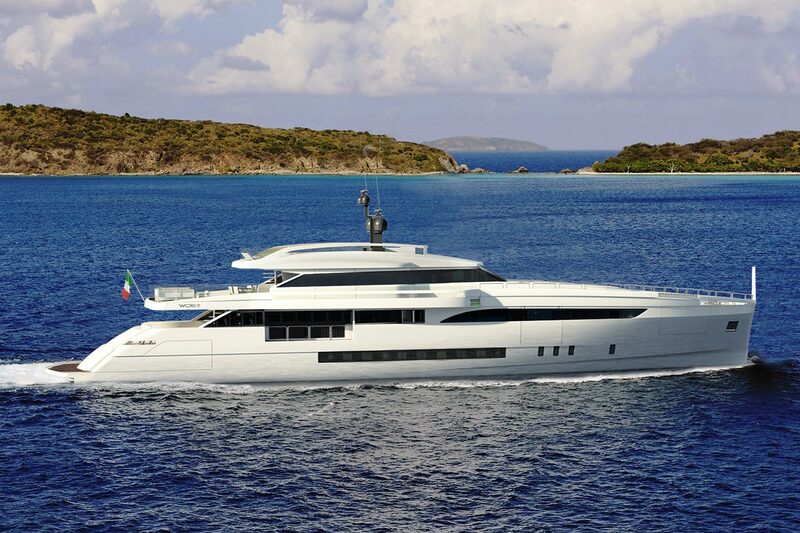 This superyacht blurs the lines between environmental impact and comfortable lifestyle. 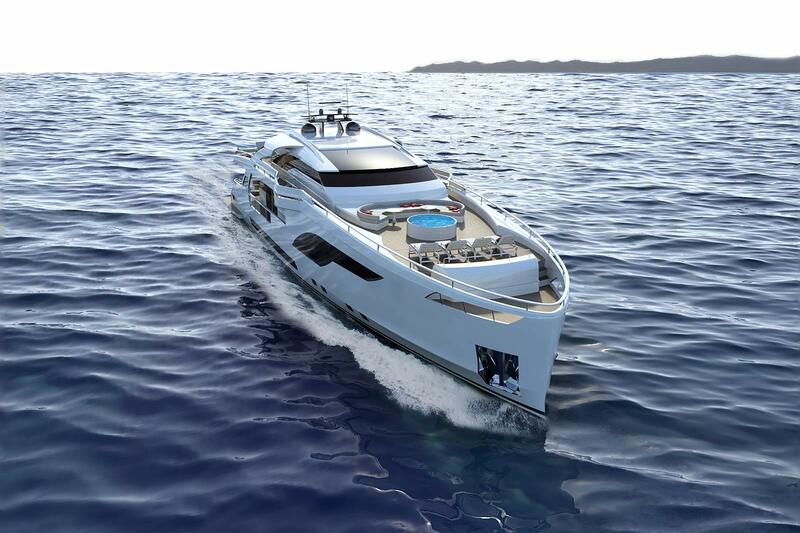 The aluminium hulls create an elegant silhouette, while a diesel/electric propulsion system ensures energy saving without hindering performance. 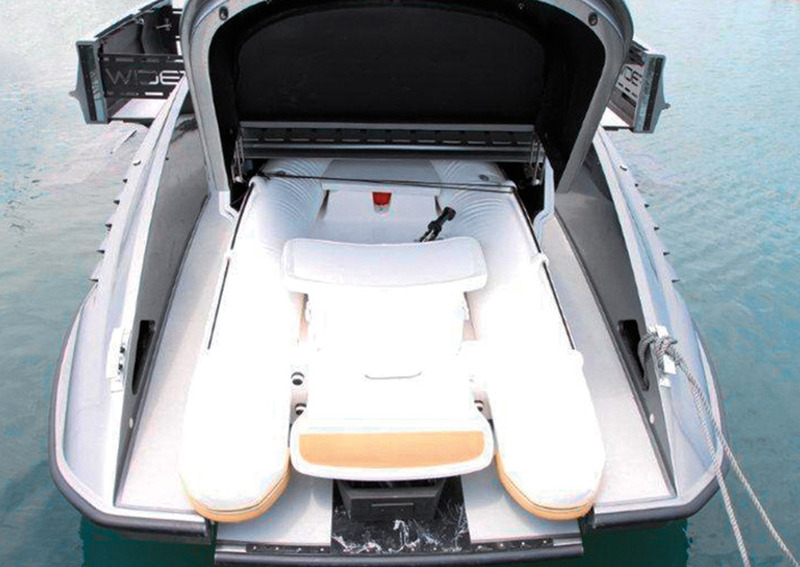 A 32′ rigid tender on board allows the owner to access to the smallest creeks and bays in complete comfort and safety. 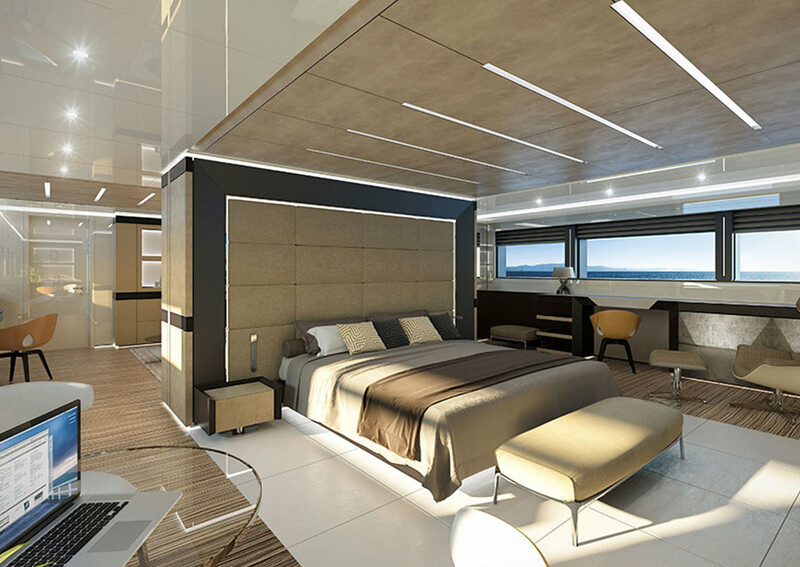 The Wider 150 magnificent onboard oasis with splendid relaxation space, easy access to the sea, and plenty room for sunbathing. 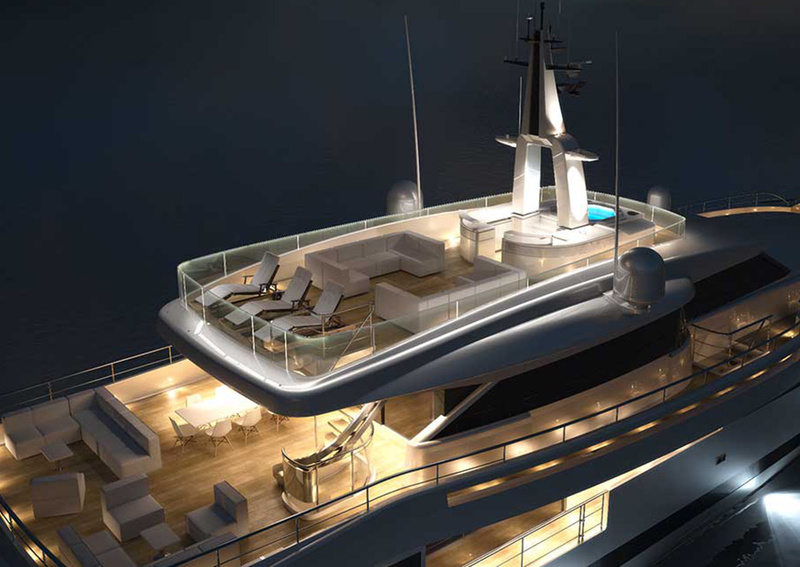 A 90m² Beach Club including a 7m swimming pool makes this the biggest in her competitive set. 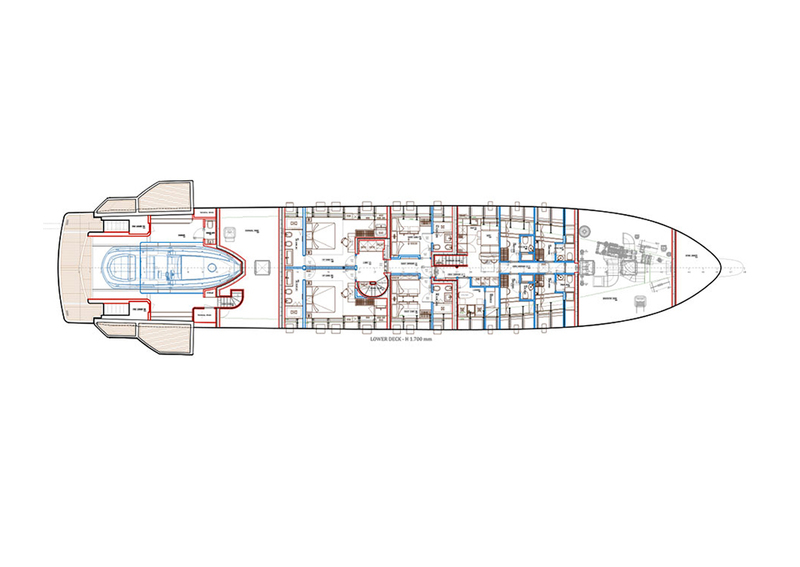 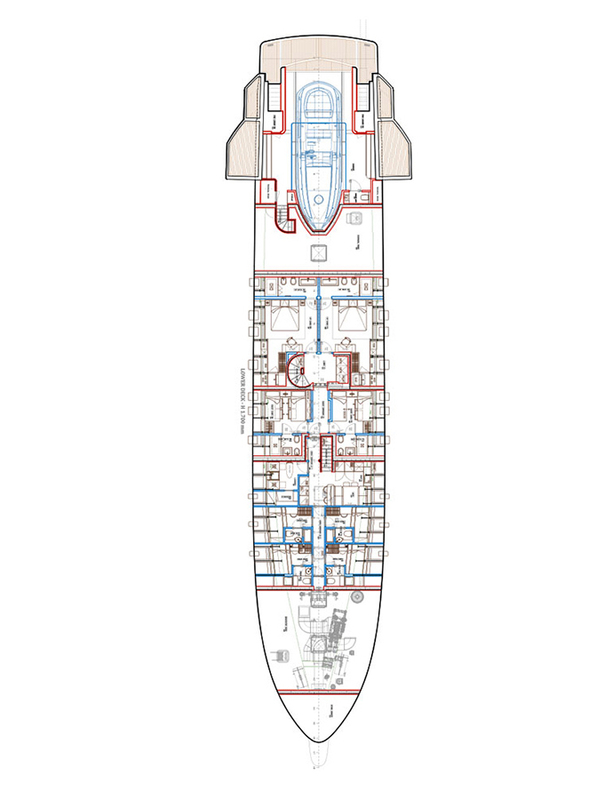 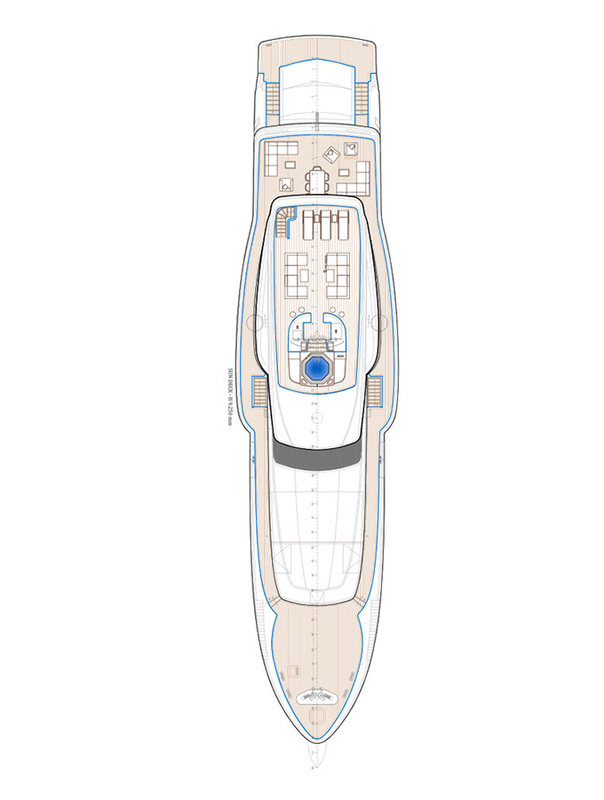 The main deck features a stern area with an external cockpit and a spacious interior saloon split into two large living spaces. 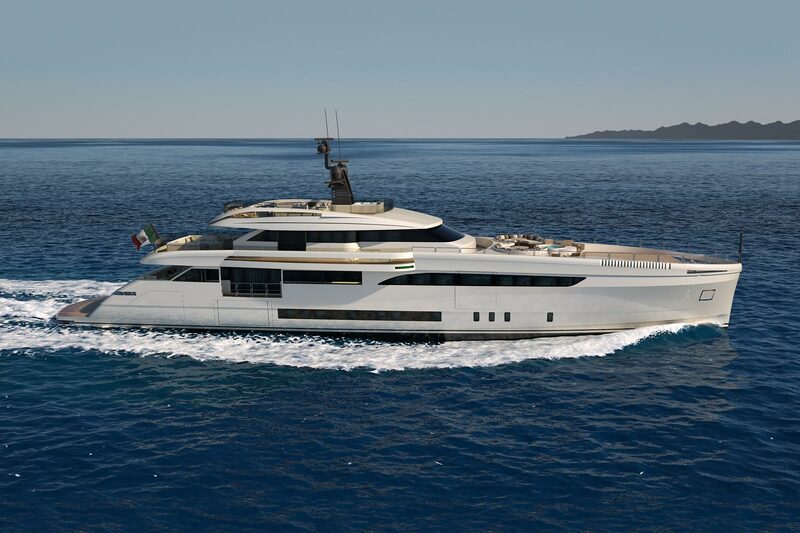 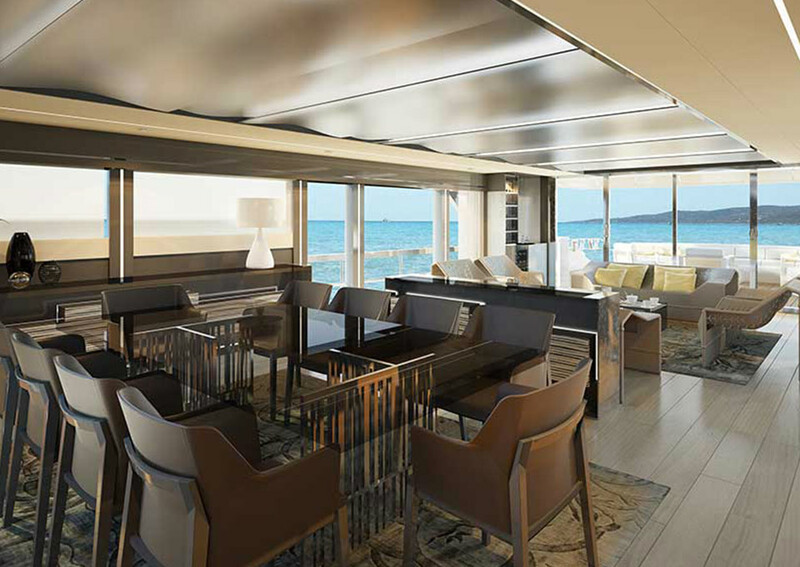 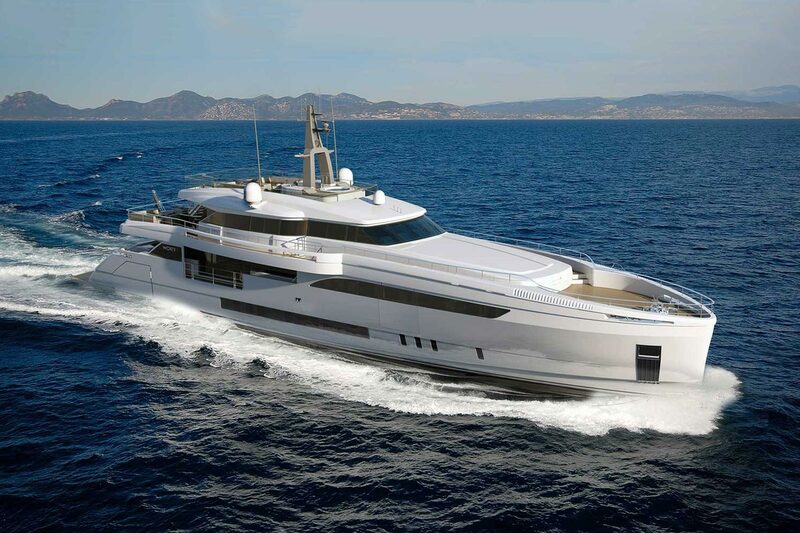 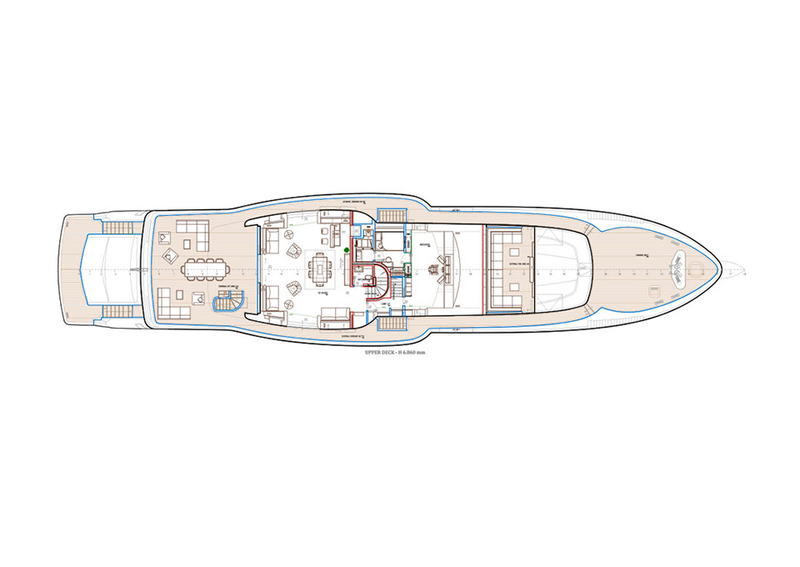 Forward of the saloon is the 75m² full-beam owner’s suite that also divides into two distinct areas. 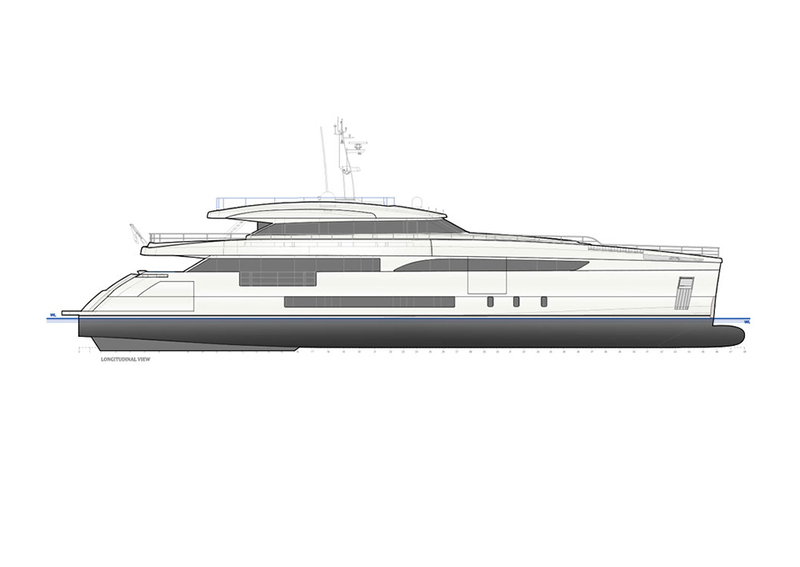 Diesel – electric propulsion system allows various ranges, up to 4.200 nm using diesel – electric at 11 knots. 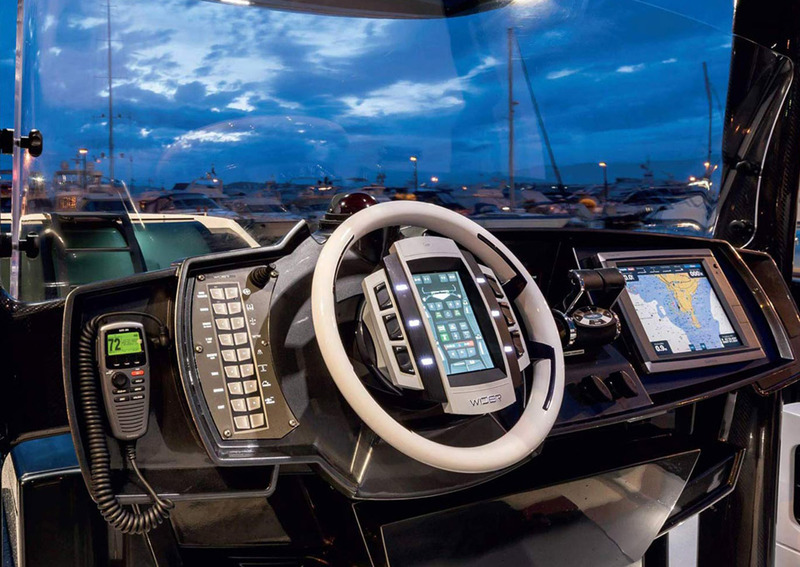 Thinking about your next vessel? 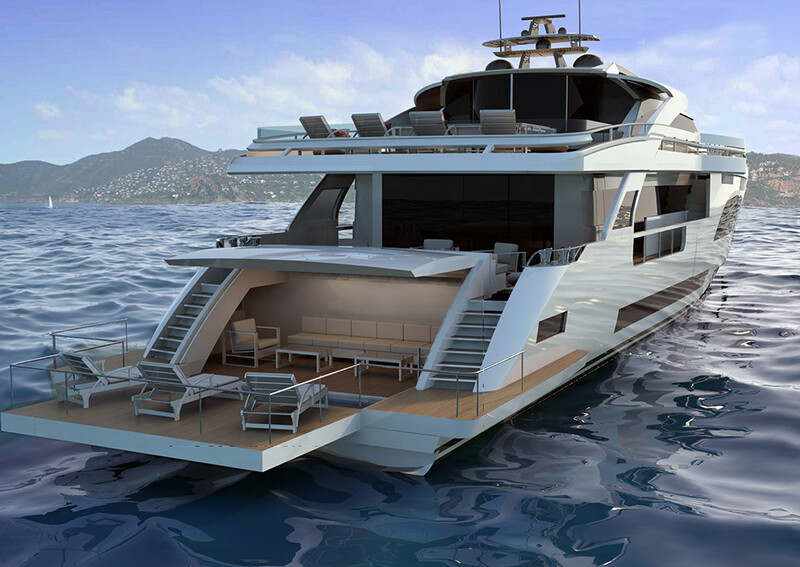 Talk to our motor yacht specialists to find the perfect luxury vessel for you. 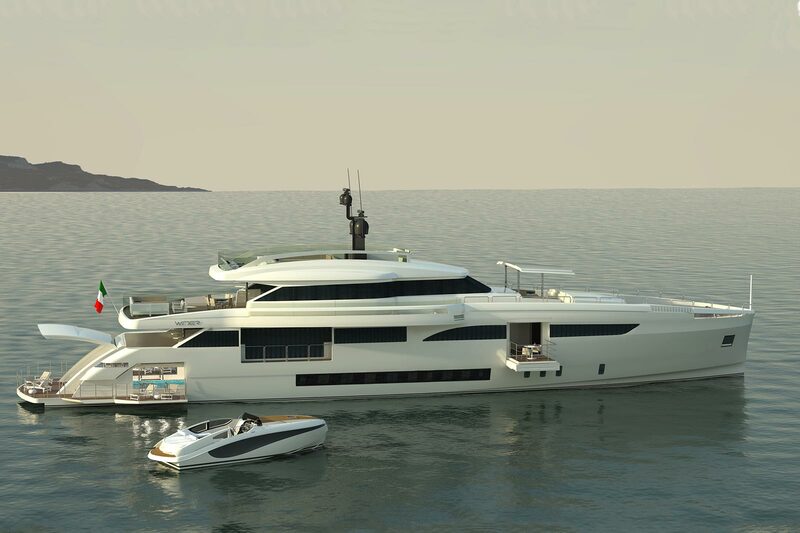 Keep me up to date with information and news on Boutique Boats. 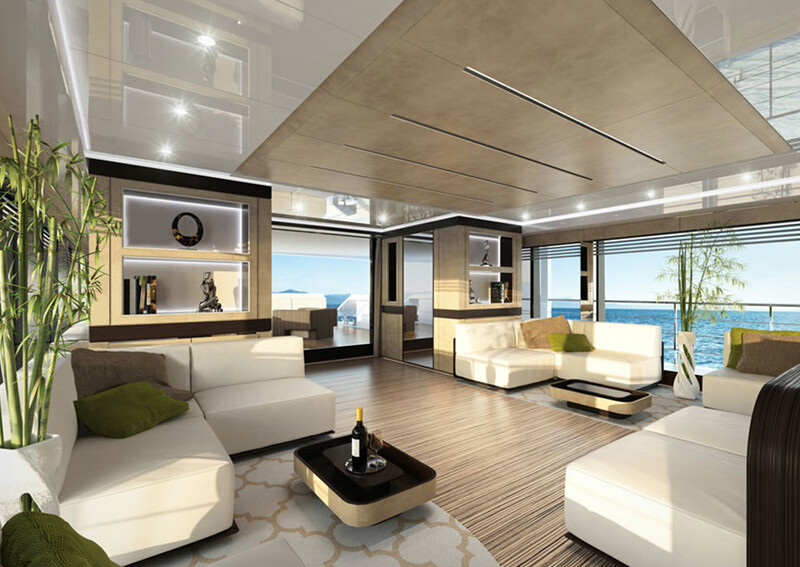 of professionals call us now. 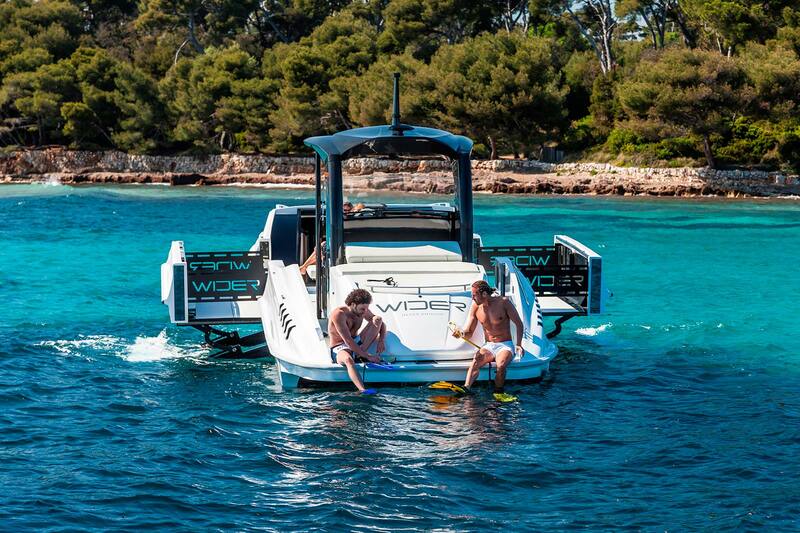 Thinking about your next vessel? 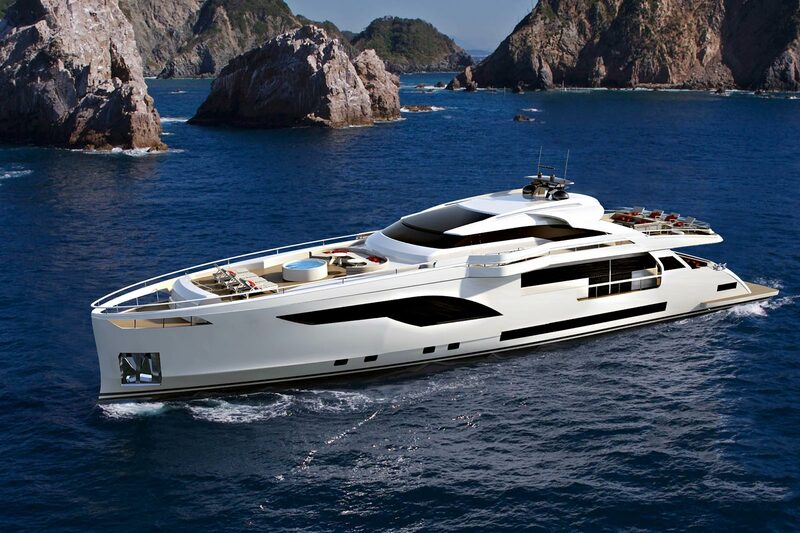 find the perfect luxury vessel for you. 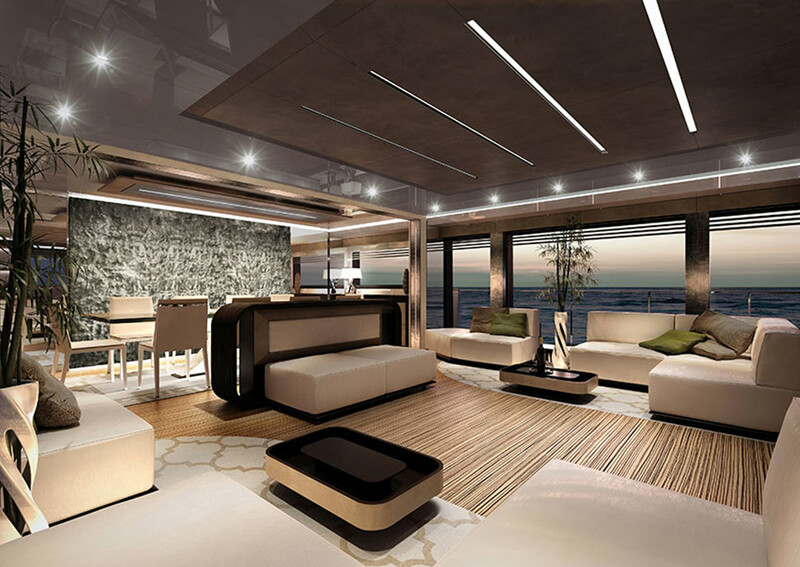 The Boutique Boat Company represents boats with unique and extraordinary design. 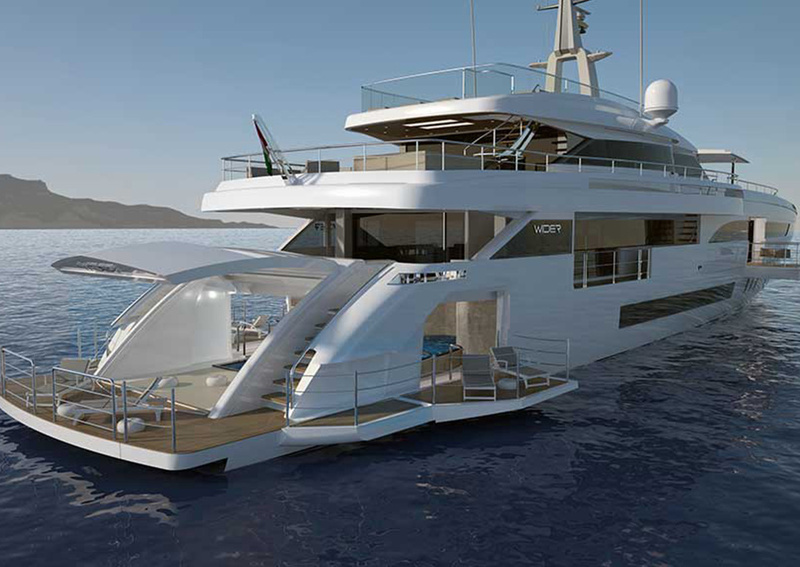 Stand-alone feats of engineering and aesthetics are championed, as well as a refined eye for beautifully crafted design. 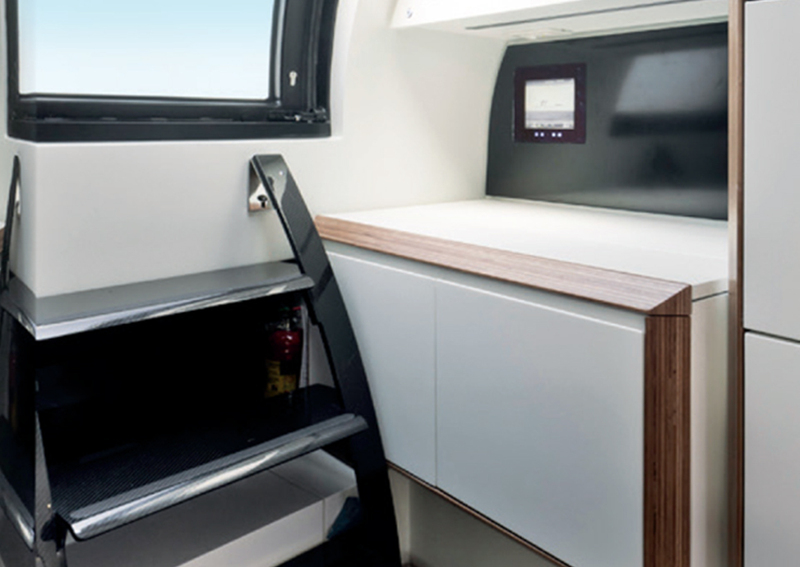 Our customers recognise the importance of design without compromise. 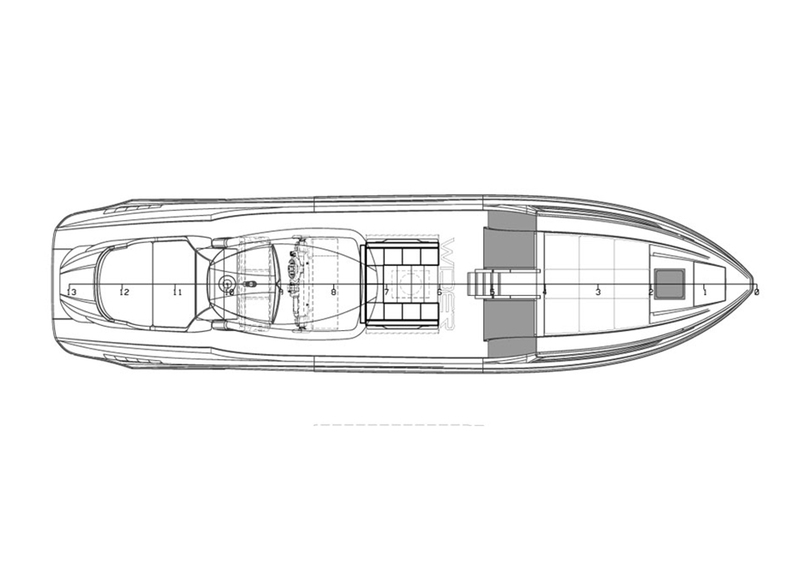 We supply that demand with luxury designer boats from around the world. 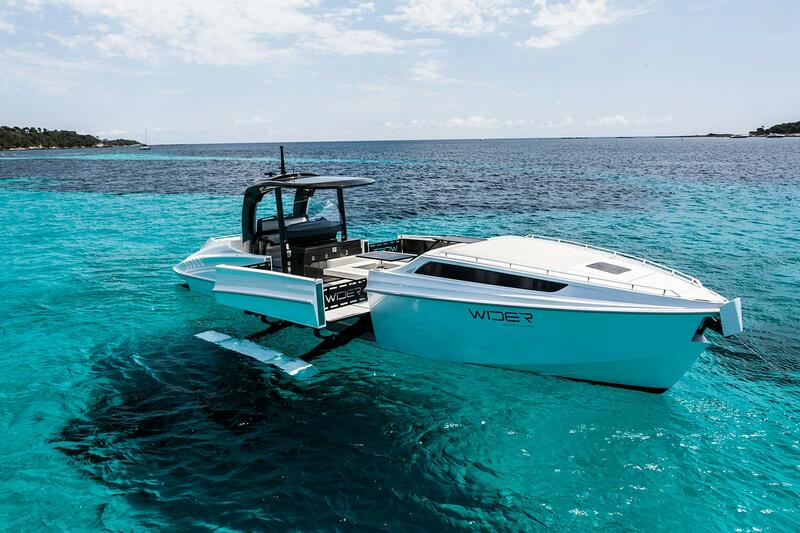 Every boat we stock makes a bold statement and follows through with exceptional engineering and innovation. 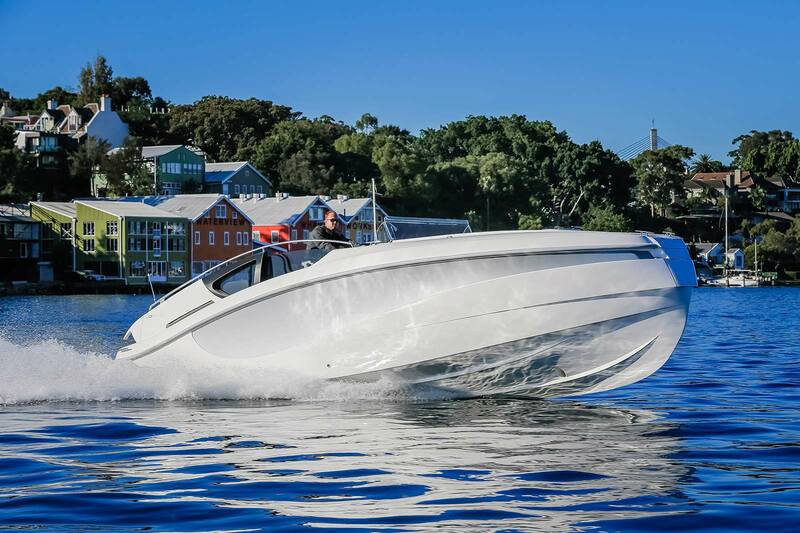 With over 80 years of maritime history, and an unwavering passion for unique design, we bring exciting new boats to Australian waters for the first time.